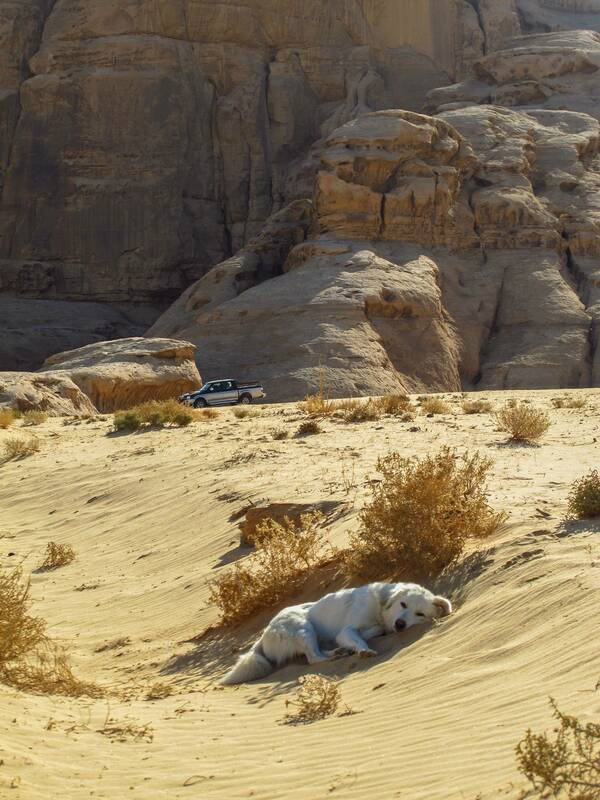 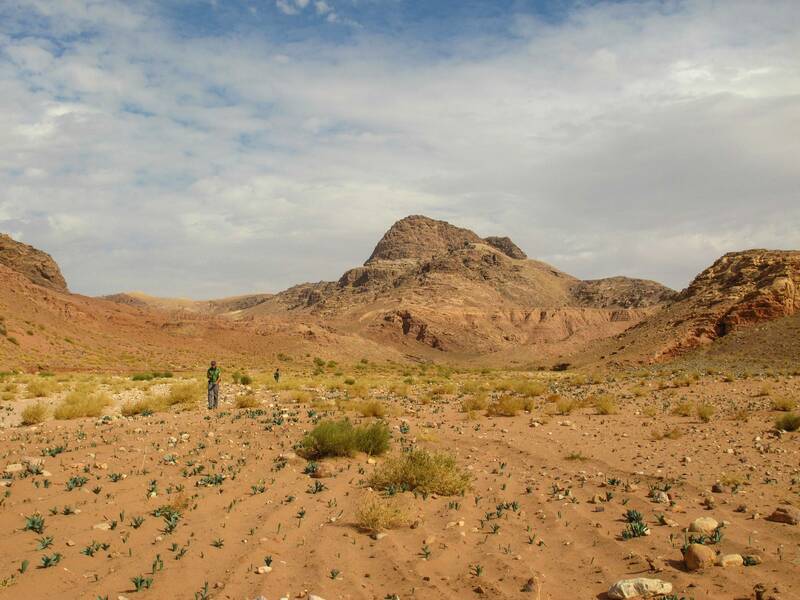 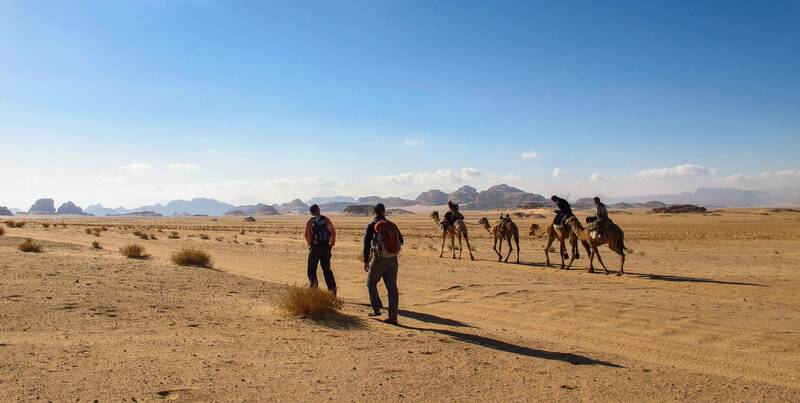 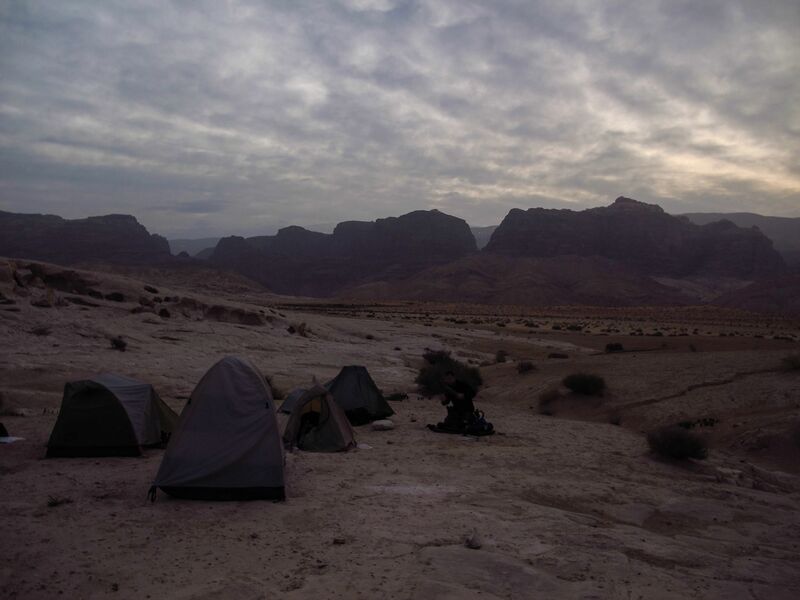 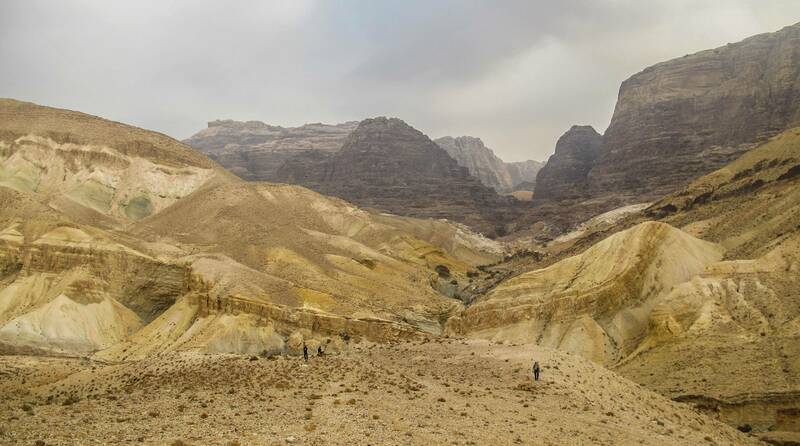 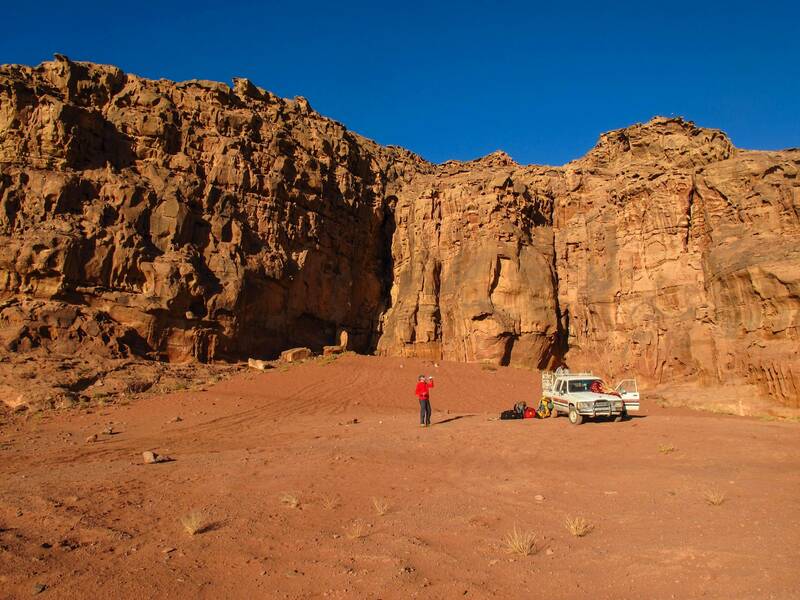 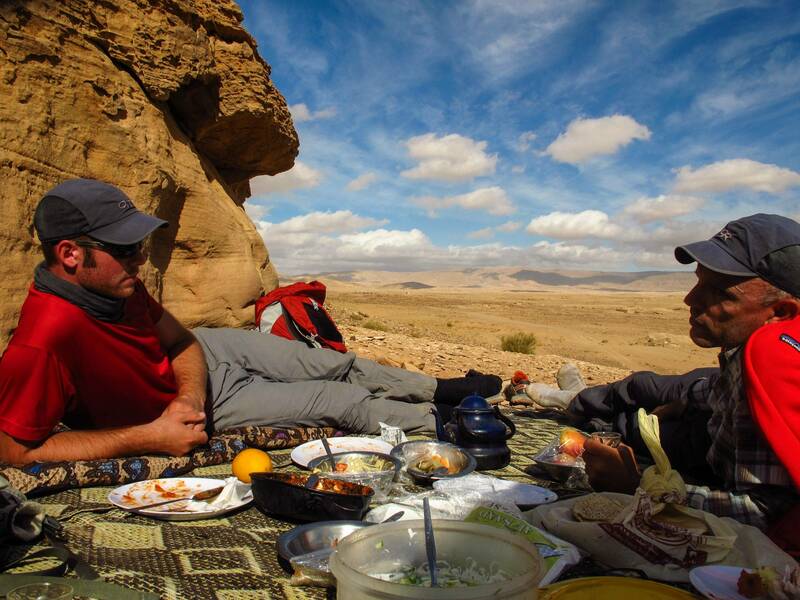 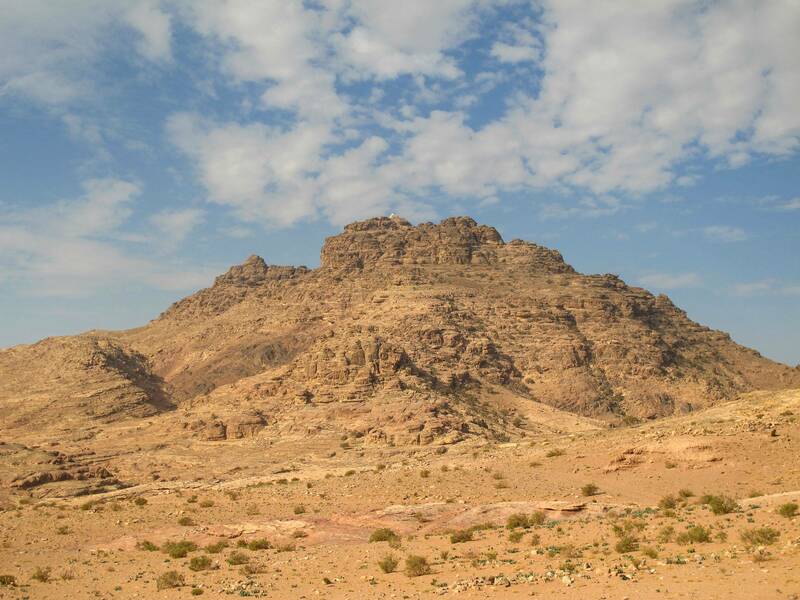 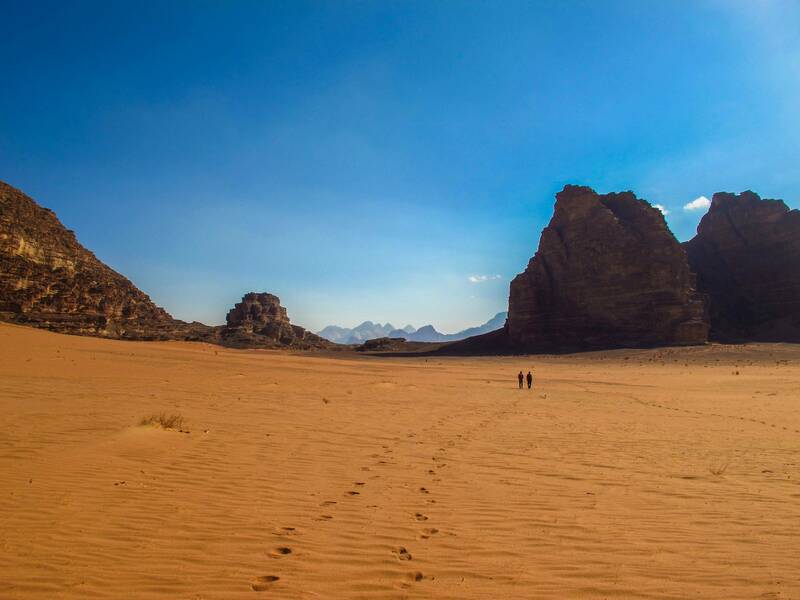 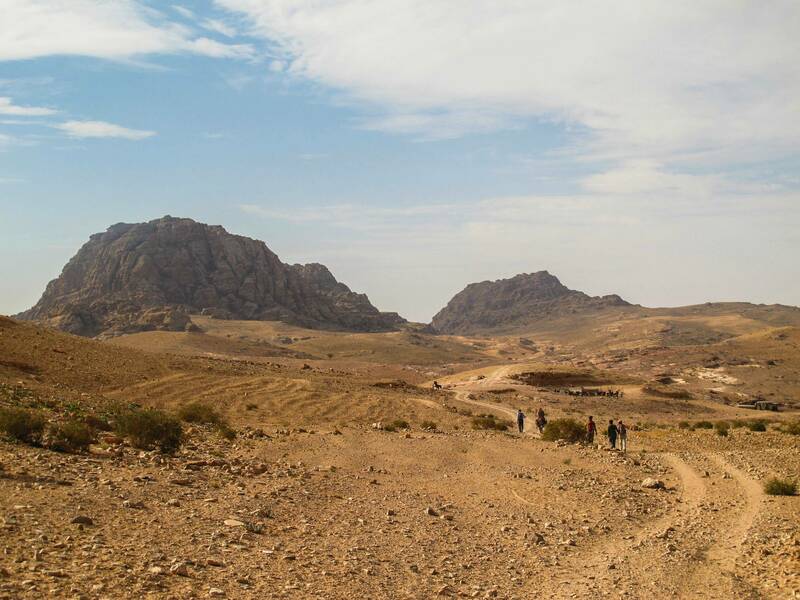 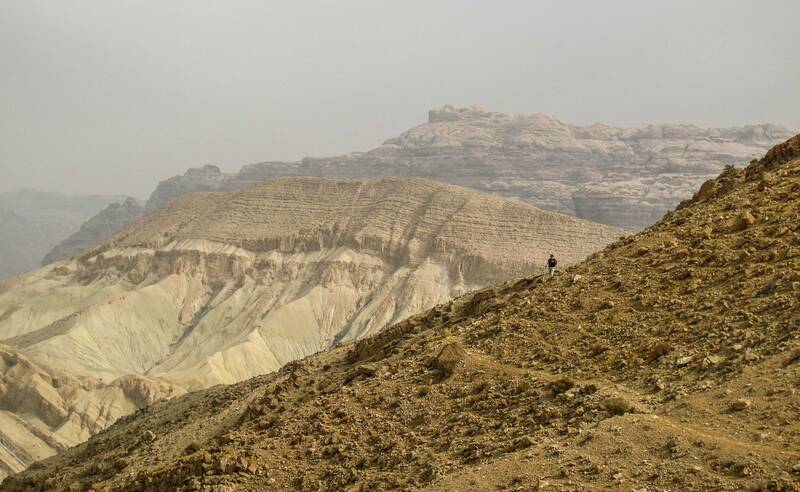 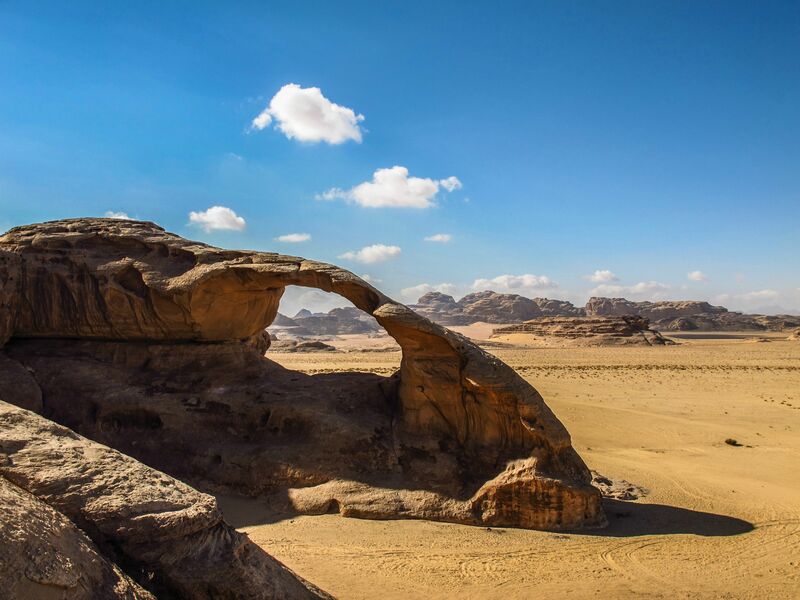 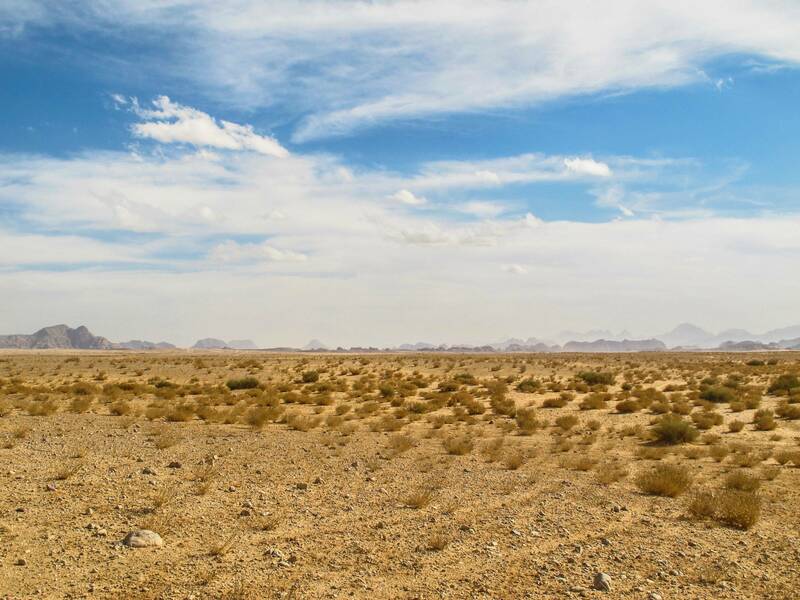 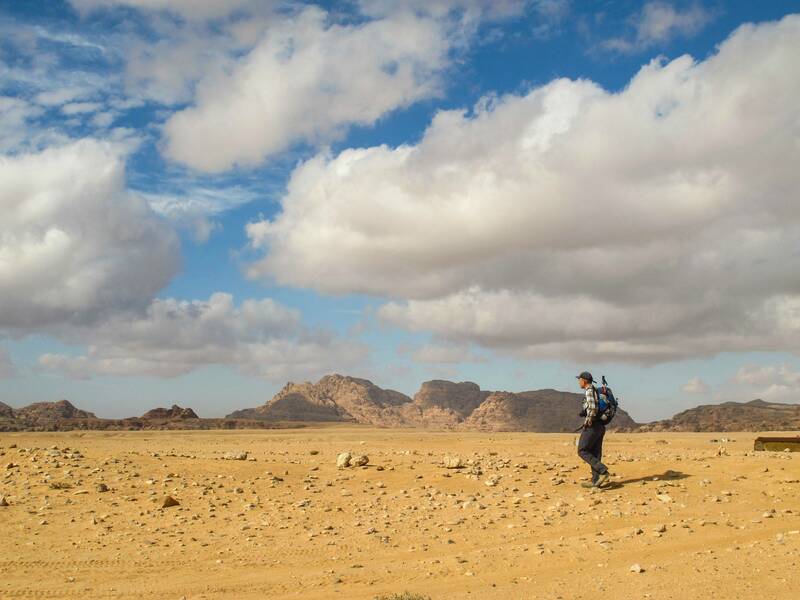 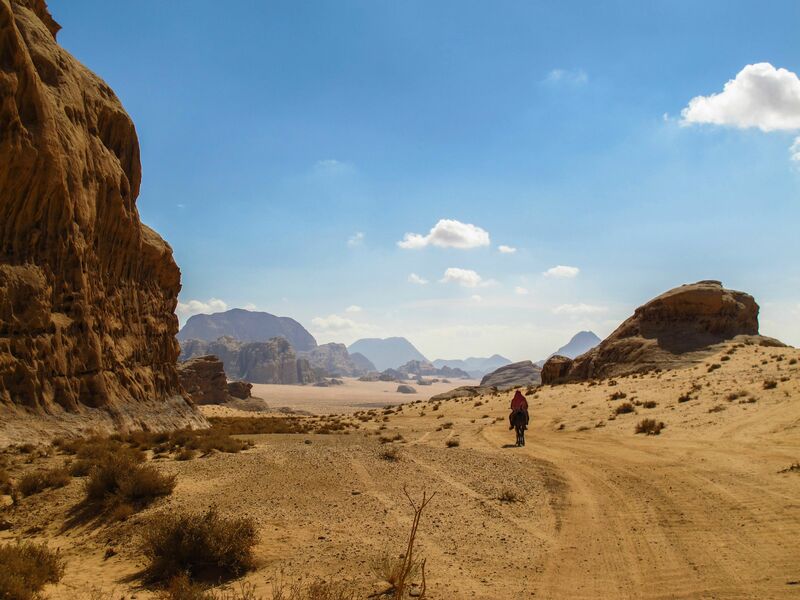 There's a long stretch of desert between the two legendary sites of Petra and Wadi Rum. 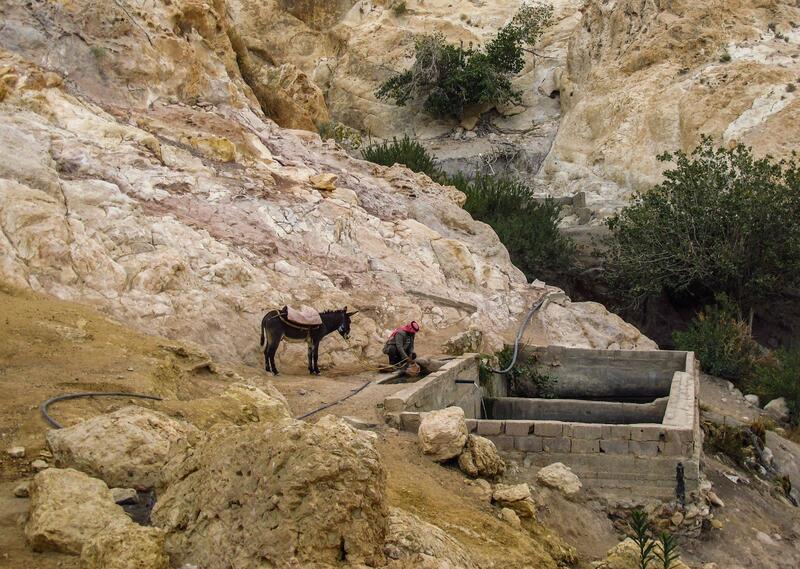 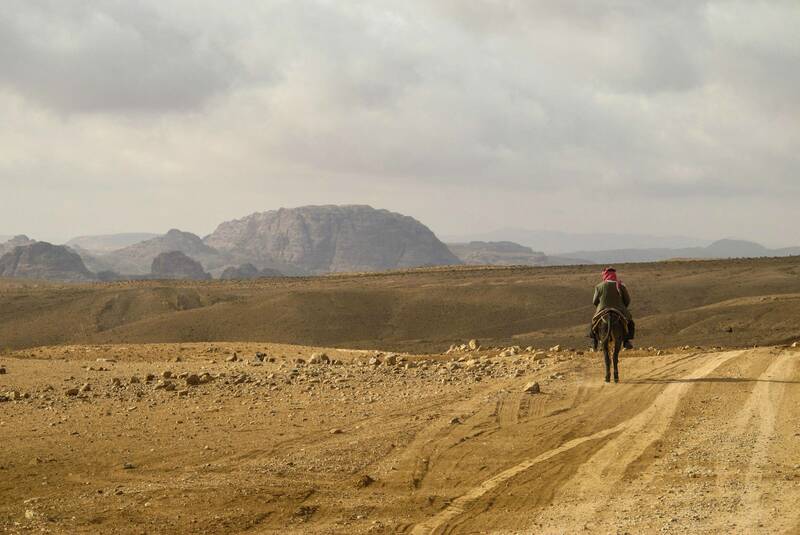 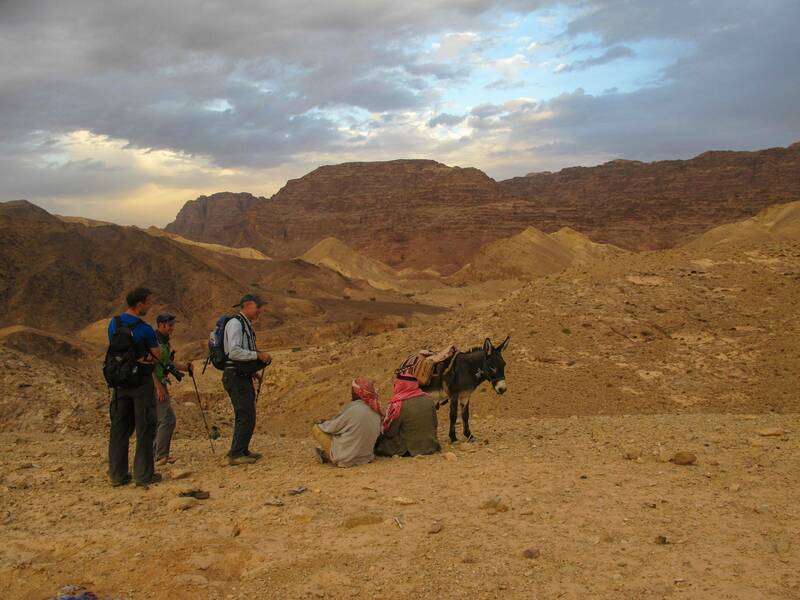 I got to follow a guy on a donkey on a route which became the Petra Region of the Abraham Path. 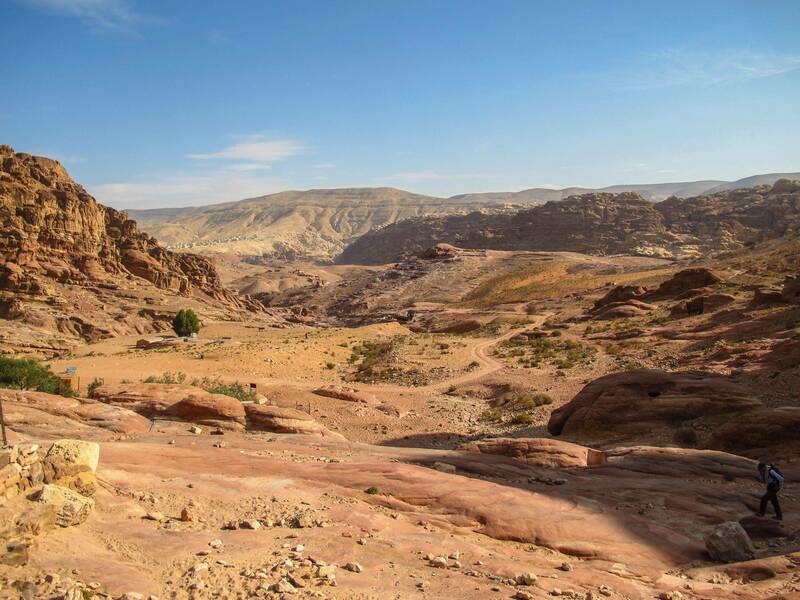 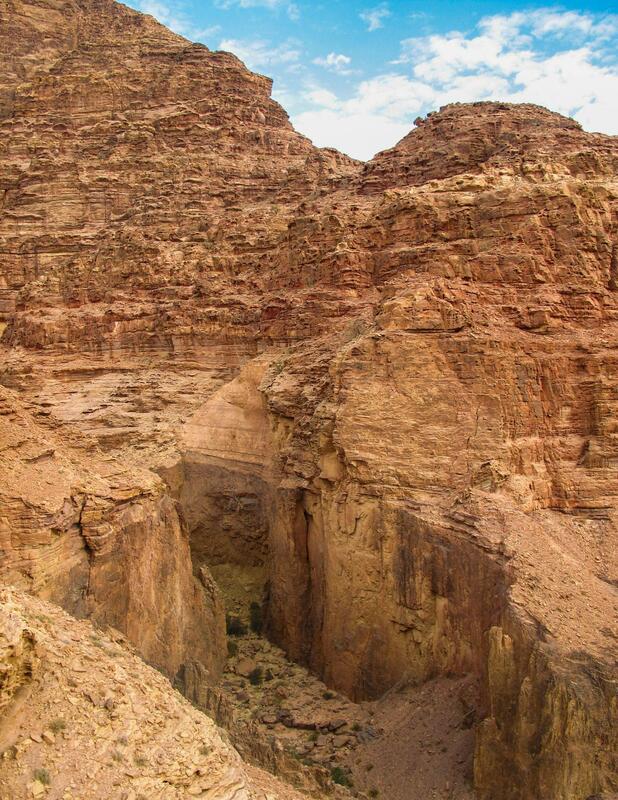 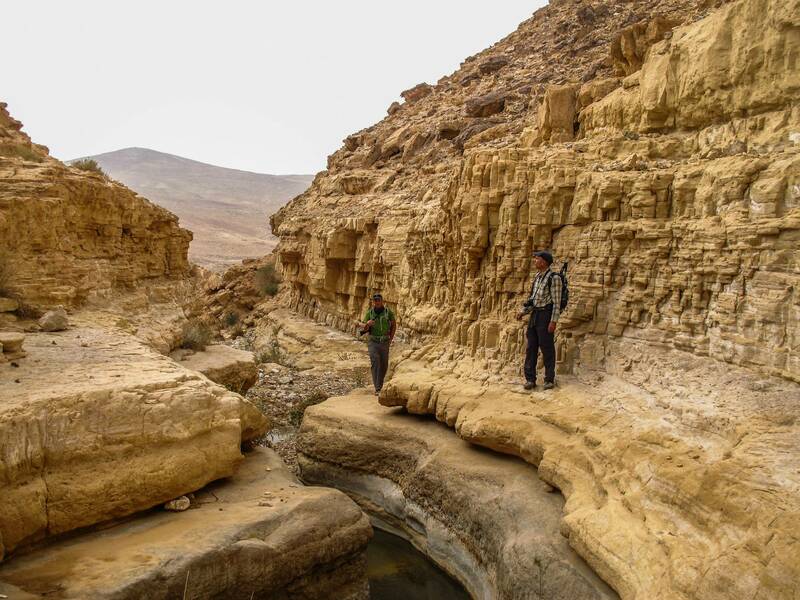 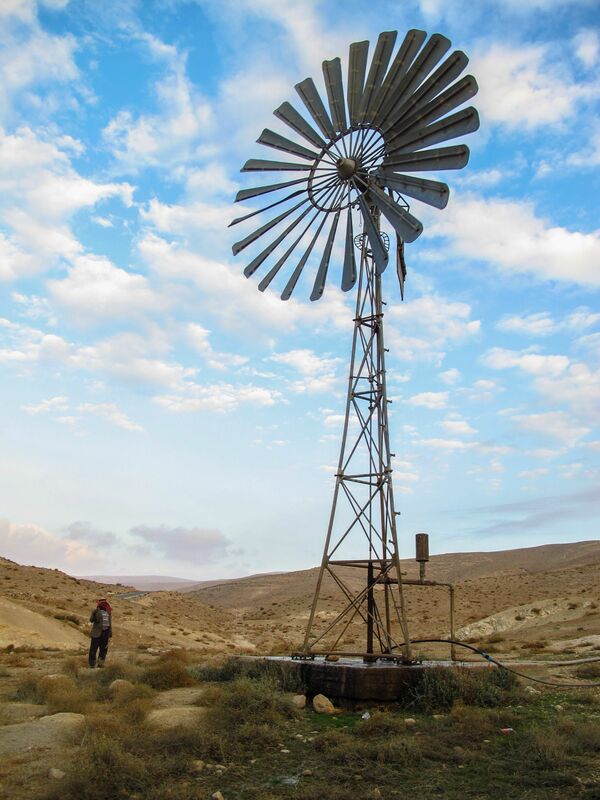 Later, as the Jordan Trail began to gain popularity with locals, they rerouted it to a much more scenically interesting path through the canyons to the west. 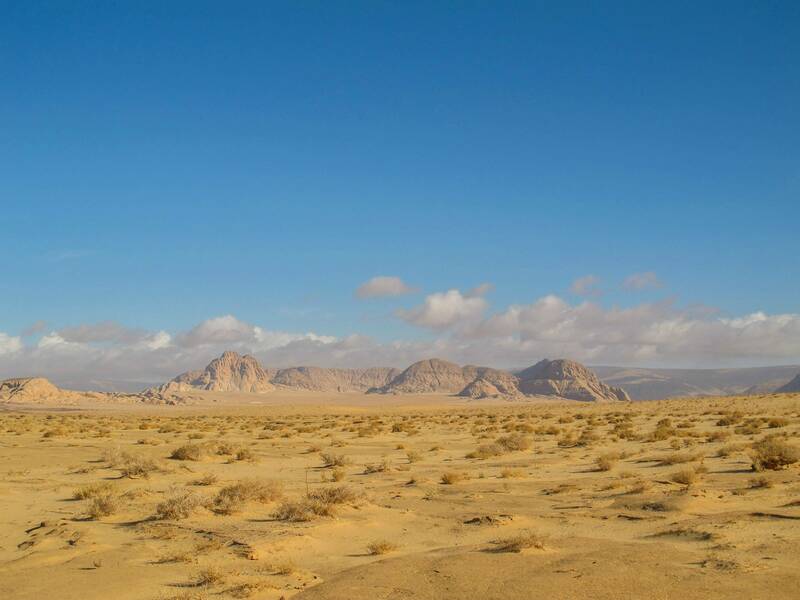 Still, I'm glad I got to experience feeling the desert wind across these open, sandy plains. 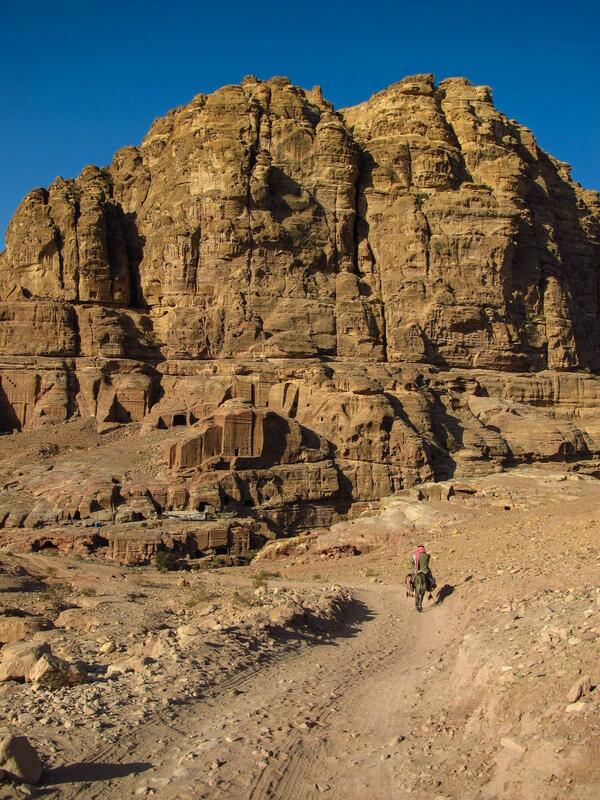 As I write this, I'm planning a fatbike trip to this region. 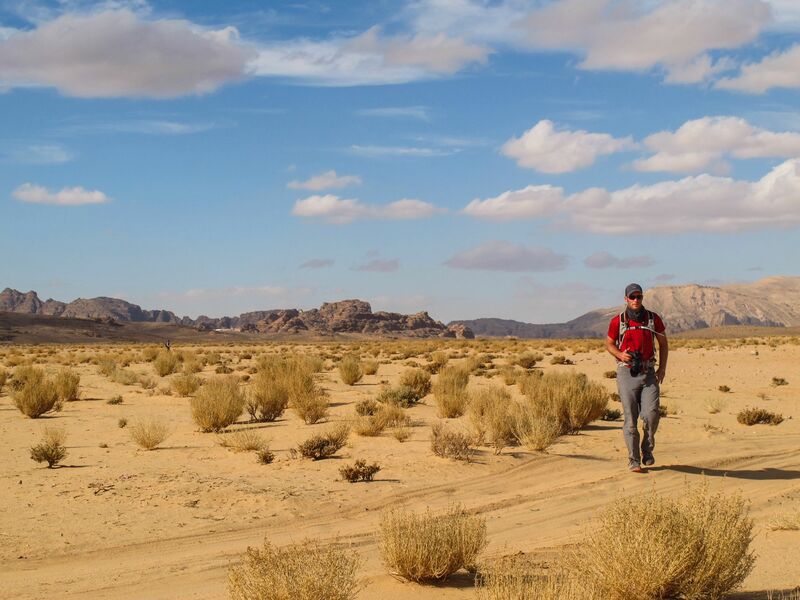 What better way to wander between scrambling routes? 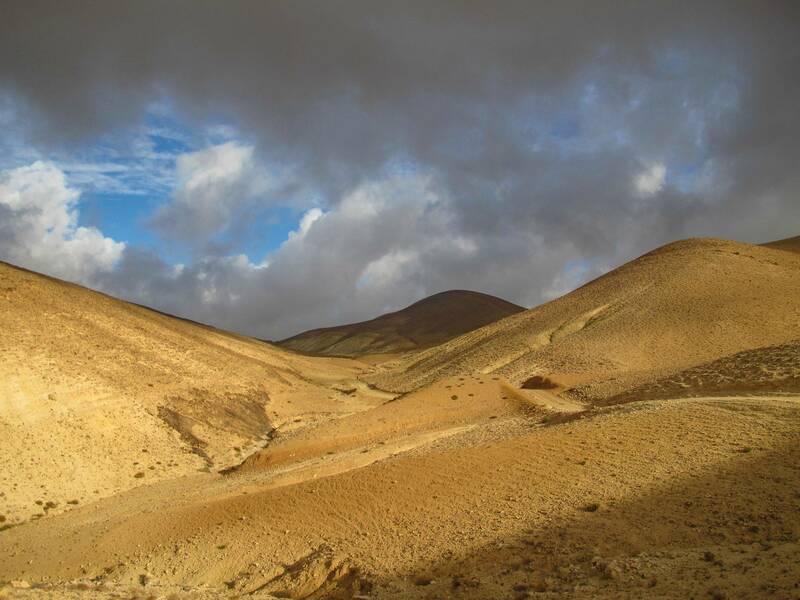 And arrival. 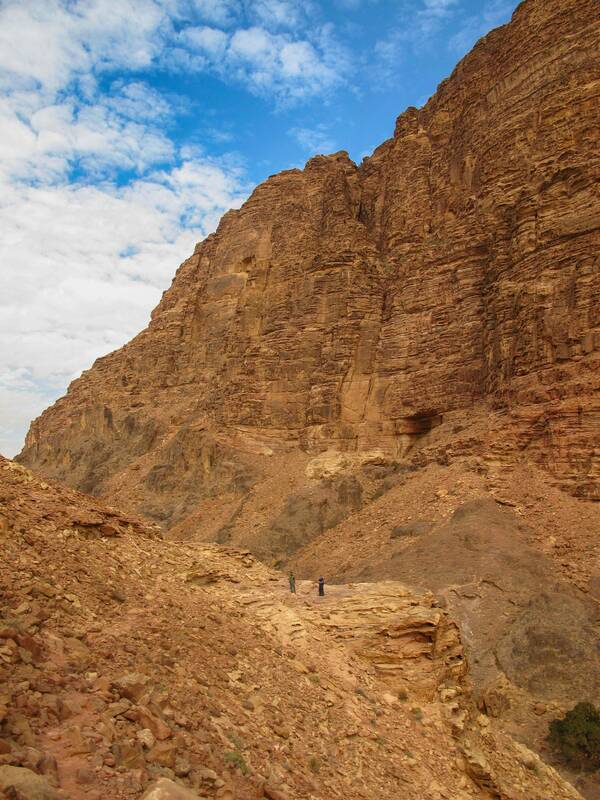 At the mouth of Wadi Rum proper, a vista of the "Seven Pillars of Wisdom" (at left) greeted us. 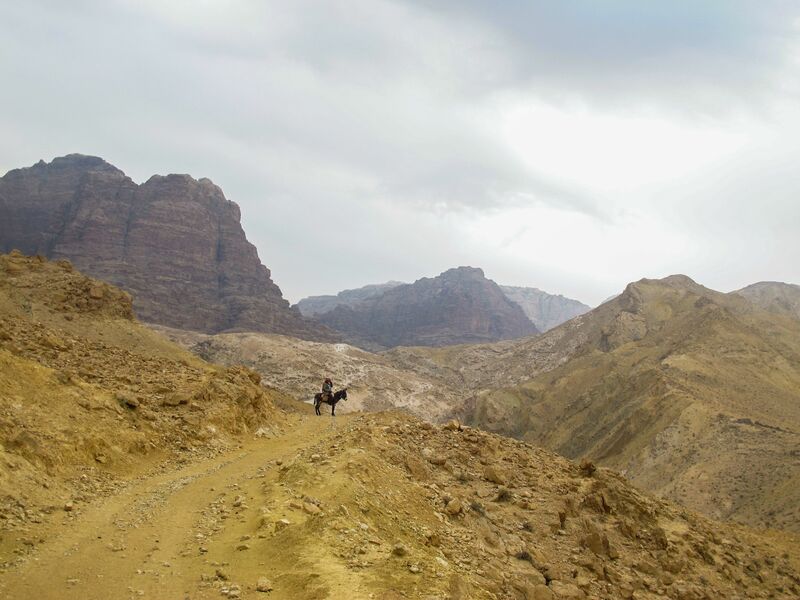 The walk down the wadi to the village is surprisingly unphotogenic - it's the large region around the eponymous valley that really stuns.